The Rogers Reserve is located in the Shawanaga Inlet Natural Area which includes islands and mainland from the southern end of the Pointe au Baril community up to the main channel that forms the northern extent of the community. Although small, the Rogers island has extensive coastal wetlands that in low water connect it to the adjacent islands to both the west and the east. It’s these wetlands that marked the Rogers property as a target for protection. 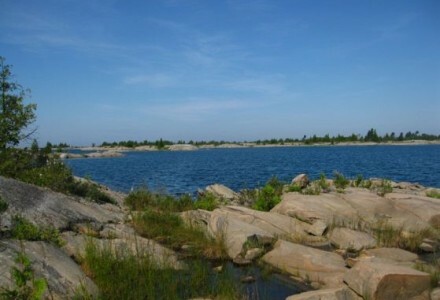 Rogers is adjacent to two areas of high priority in the Eastern Georgian Bay Natural Area Conservation Plan, and is directly north of both GBLT’s Fairies Dancing Reserve on Rathlyn Island and the Pontiac Islands Reserve.